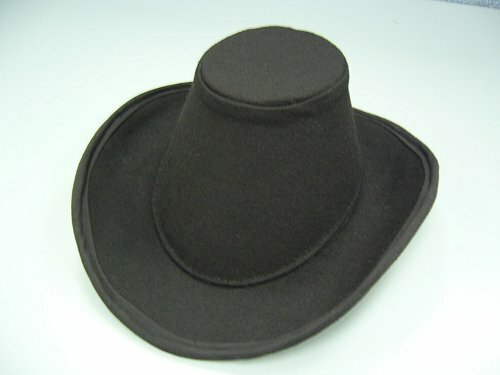 I've decided to re-make my Black Arched Brim Elizabethan hat. The first one turned out too small, so I am going to make another one. For those that are interested, here is the style of hat, as seen in a period drawing. 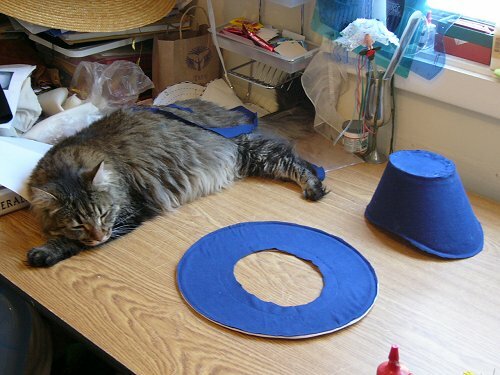 I have the buckram cut out and I am sewing the wire around the varous rims. 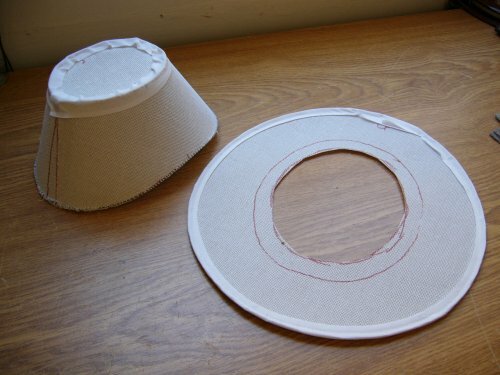 All the buckram has the wire on it, now to add the bias tape around the edge of the rim and the top of the crown, where the crown and sides have been joined. This tape serves a couple of purposes, to soften the edges and to help protect the stitching holding the wire to the buckram. 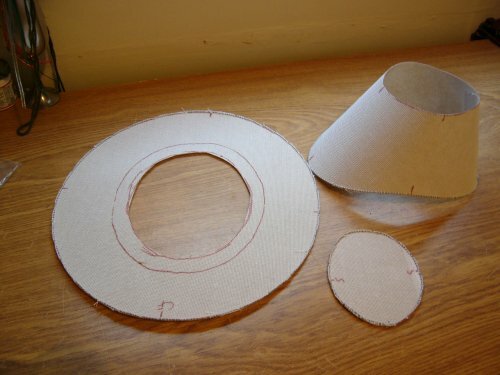 The bias around the top is glued and the tape around the brim is sewn on. Once the glue had dried, the next layer was the mulling. This helps to soften the various edges and to soften any bumps. I've just used a plain flanellette fabric. Had to use blue, no black available. This is glued at the top edges, I used spray adhesive for the brim, to stop it from going floppy, which happens if you use PVA. It was also sewn down on the brim. Now time for the cute cat photo. Pharaoh loves to hangout when I am working on something in my craft room. He also likes to guard the door so no one can sneak up on me. Lastly, it's a matter of putting the final layer of fabric on, much the same as the mulling. 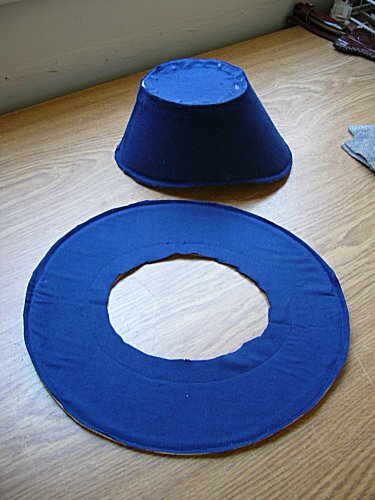 The crown went on first, with the side sewn over the top seam, then pulled down and sewn up under the bottom rim. 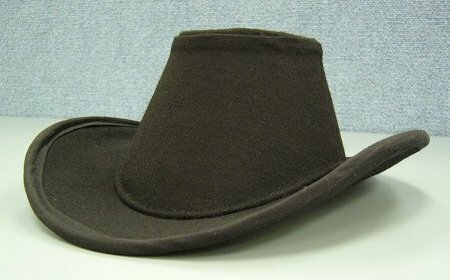 The black bias is sewn around the outer edge of the brim. I had to make my own bias as I didn't have any and the shops were shut. The fabric is again glued. I didn't glue the top brim and this proved to be a mistake. The bias around the brim isn't the best, but once I get the braid around the bottom of the hat and the pheasent feather in, it should be servicable. Now that I have that and a couple of other things out of the way, I feel like I can go back to my blackwork shirt again. So there should be some more postings on that coming up in the next few days.